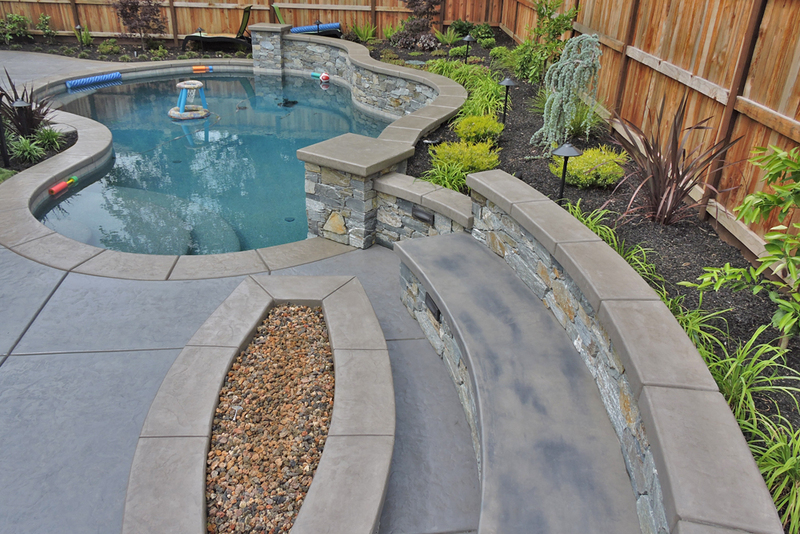 Your backyard is your oasis. 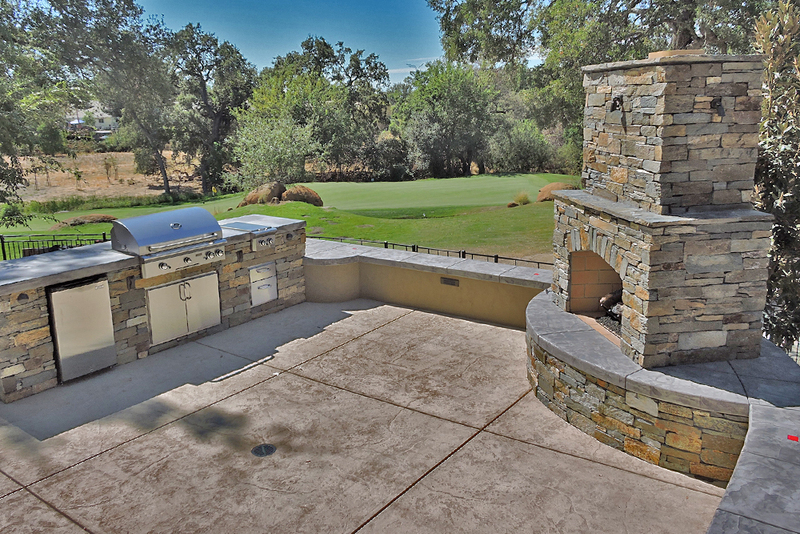 At your Sacramento home, the weather is nice enough to be able to spend time outdoors almost all year round. 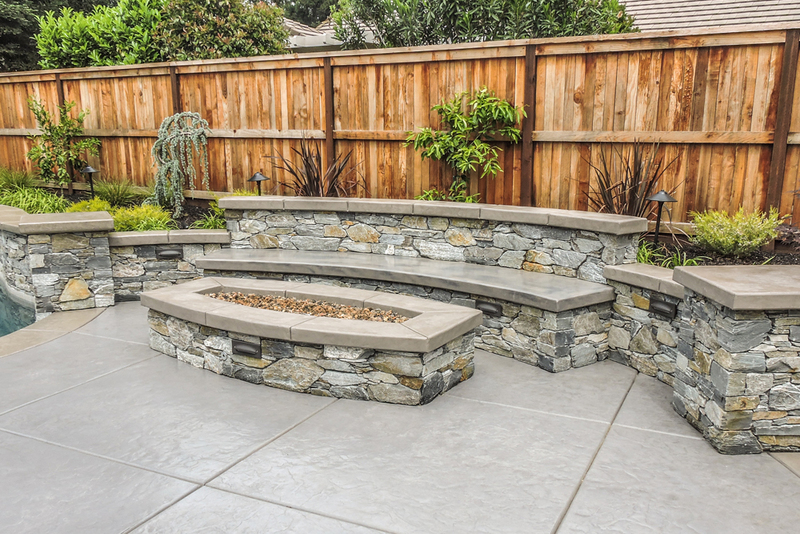 It therefore only makes sense to turn your backyard into an area that you will be comfortable spending time in all the time. 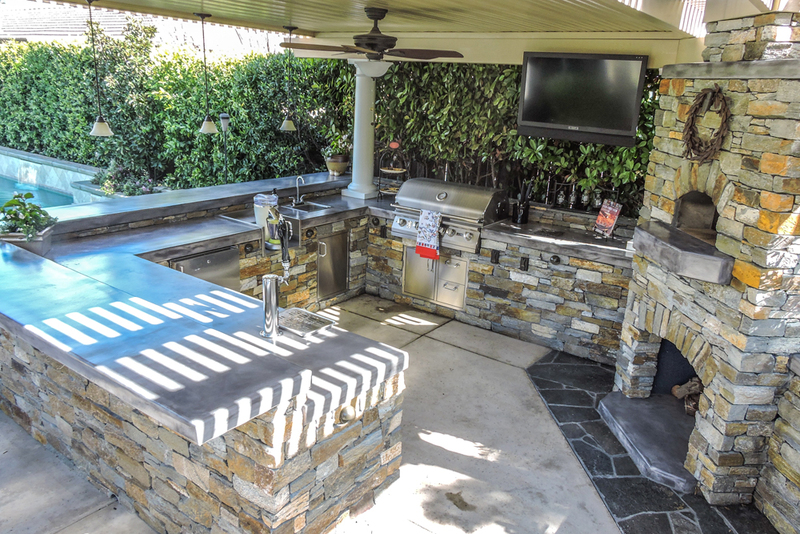 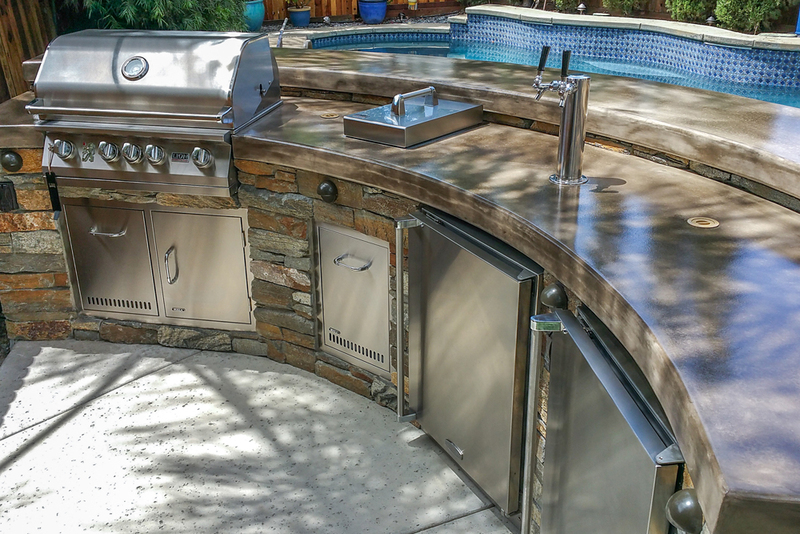 Whether that means putting in an outdoor kitchen, fire pit, fireplace, or custom seating, when you make your backyard a haven for yourself you will be able to spend many hours in it enjoying yourself and relaxing. 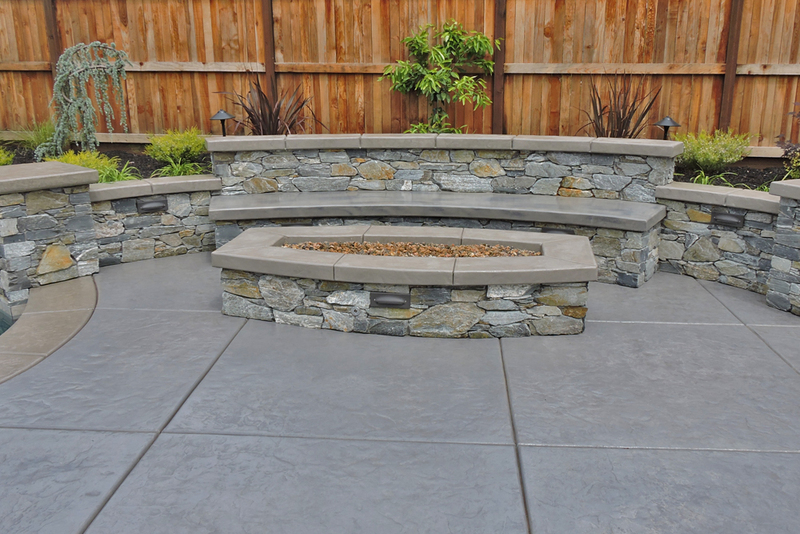 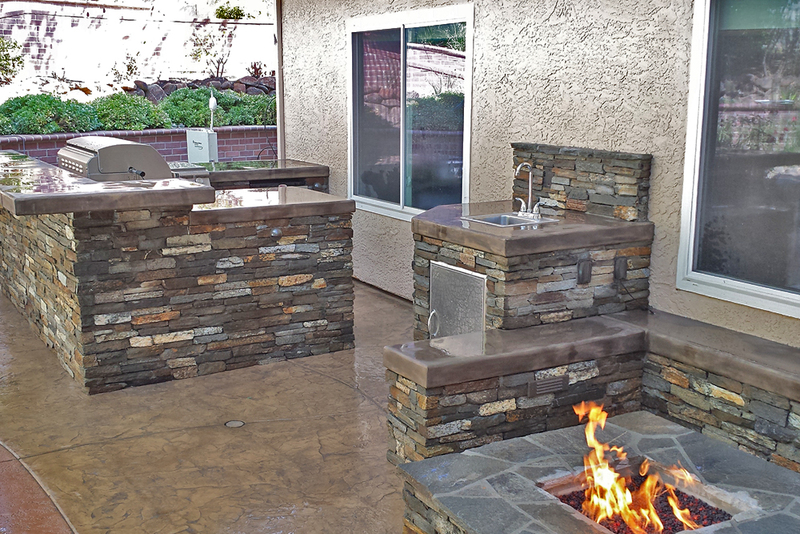 With this beautiful custom stone fire pit and seating design, you won’t ever want to leave your backyard. 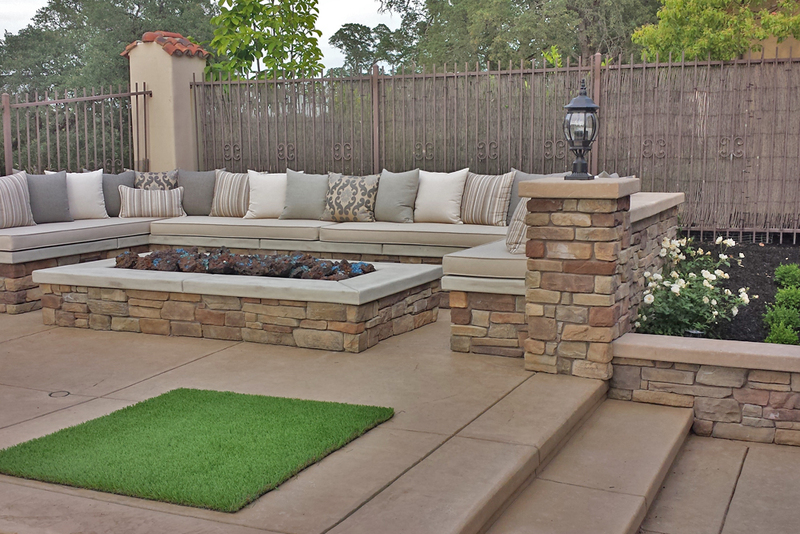 There is plenty of room for sitting and lounging, and extra room for guest seating. 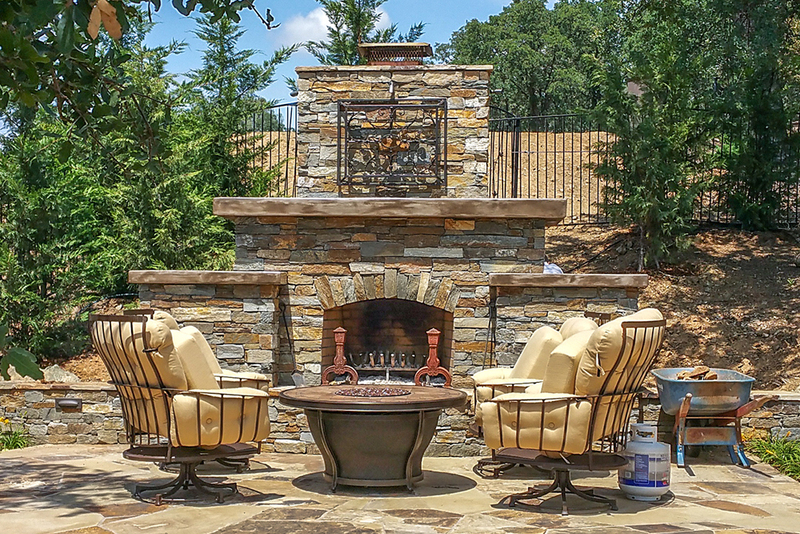 The open space in front of the fire pit is perfect for outdoor furniture or lounge chairs, especially if you have a cheerful fire crackling merrily in the fire pit. 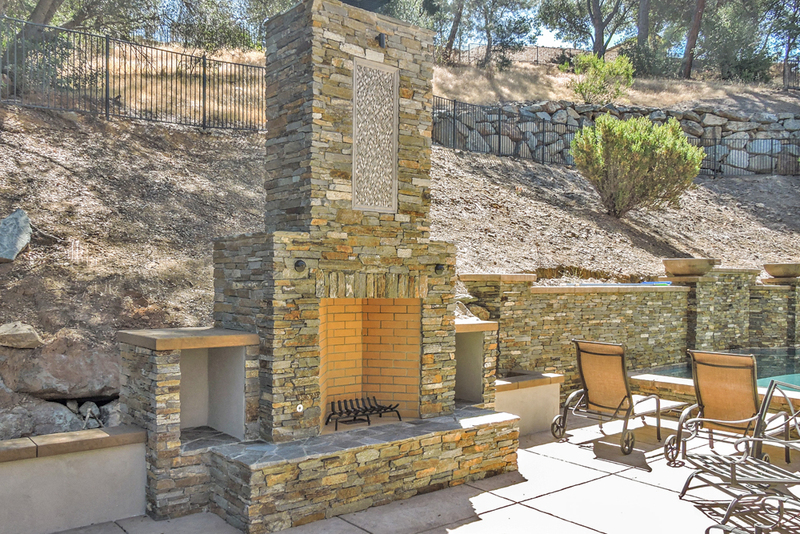 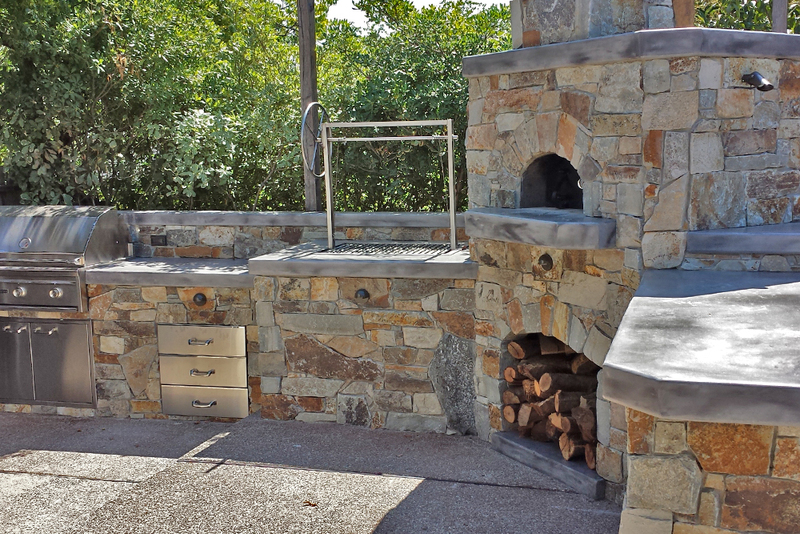 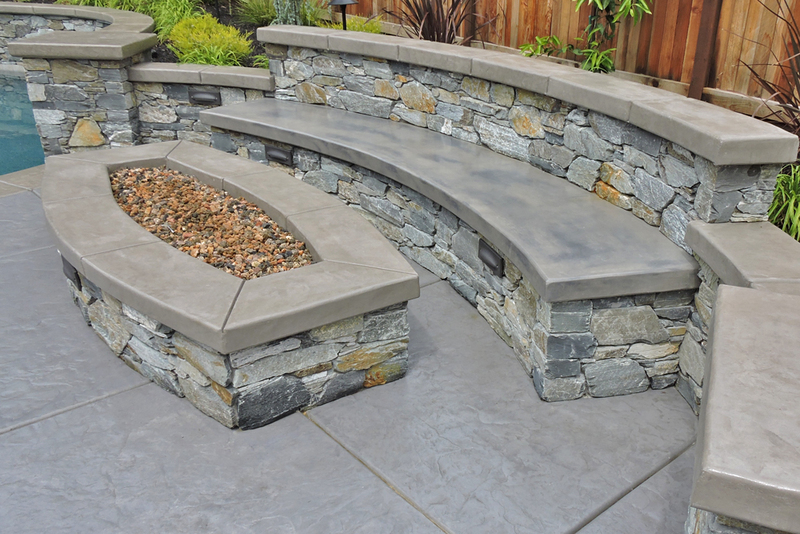 The natural stone that makes up the benches and the fire pit in this outdoor hardscape gives it a cozy, earthy vibe. 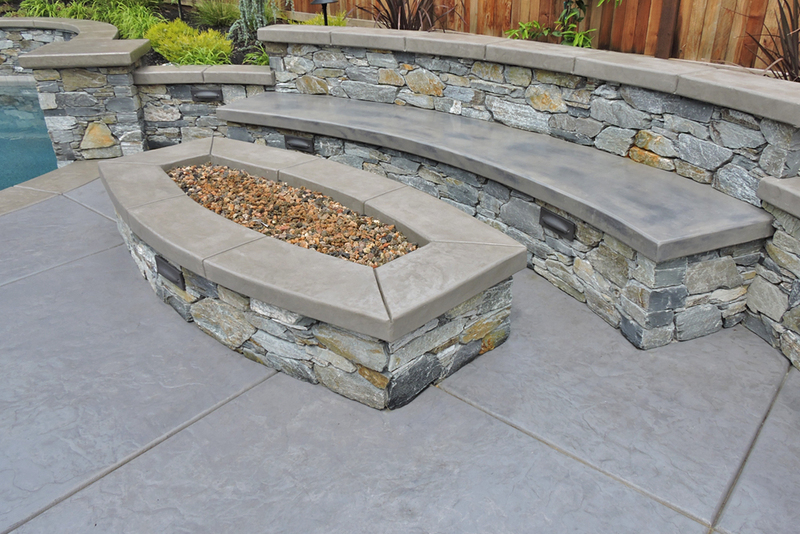 It provides a great contrast with the polished concrete at the tops of the bench, the pillars, the retaining wall, and the fire pit. 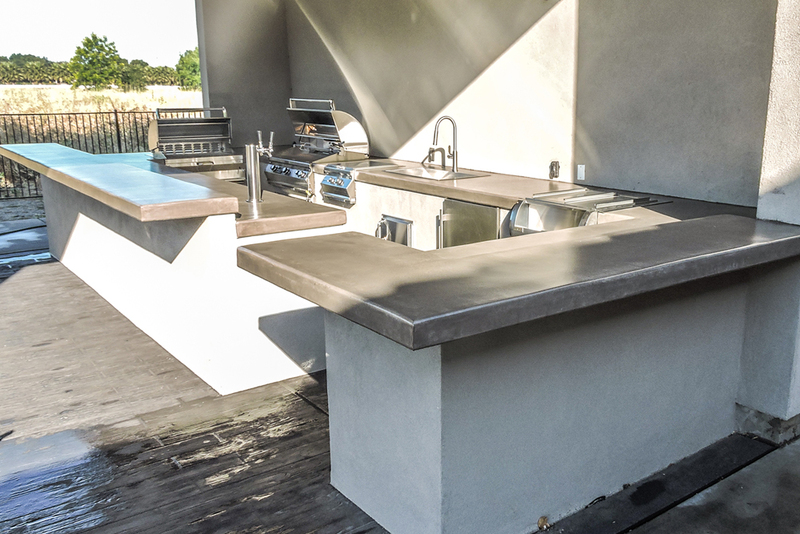 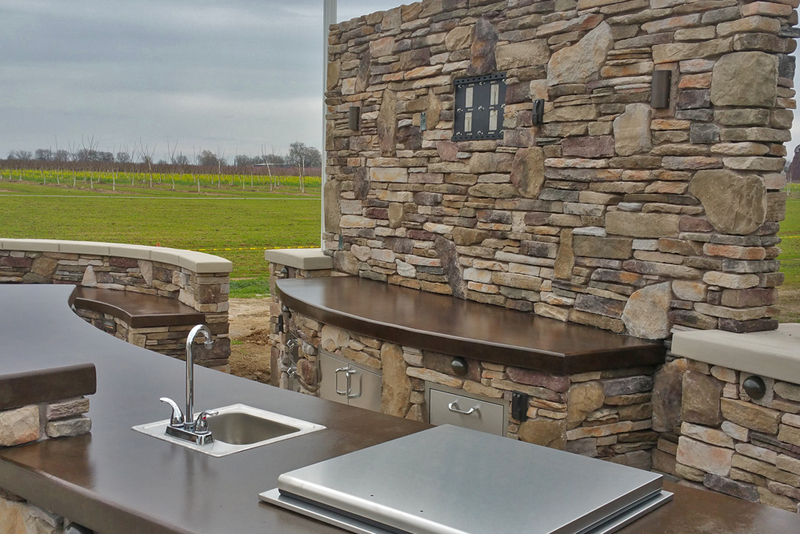 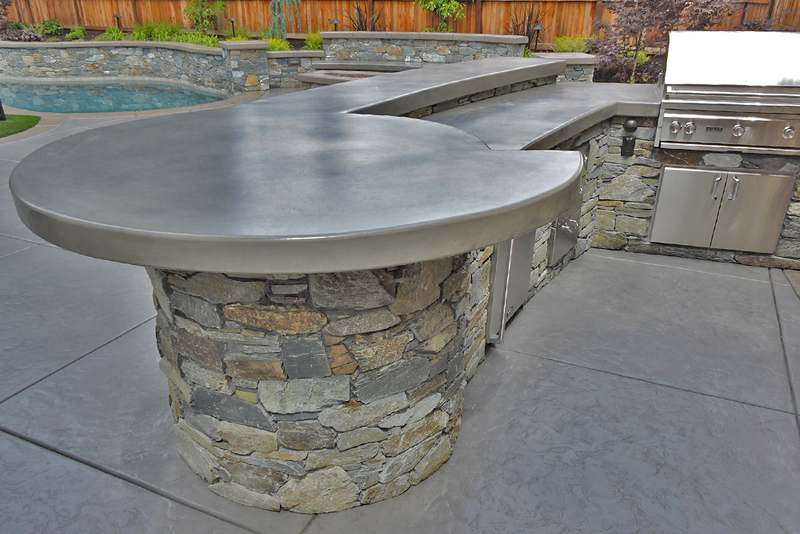 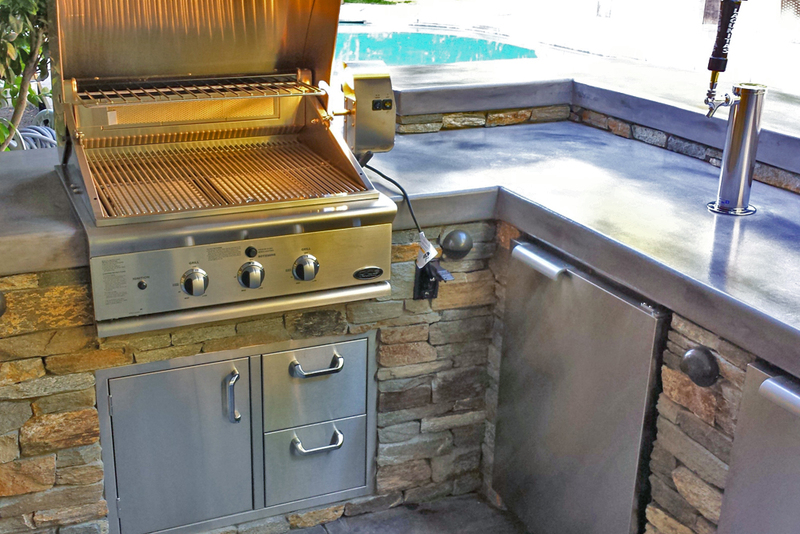 This contrast between rough and smooth is an important design element in outdoor hardscapes and outdoor kitchen designs. 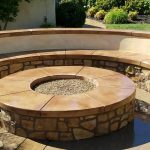 It gives a definite depth and artistic interest to the design which makes your backyard more appealing to look at many more interesting to be in as well. 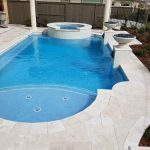 If you are looking for expert designers and installers for your outdoor hardscape design, you have come to the right place at Custom Image Hardscape! 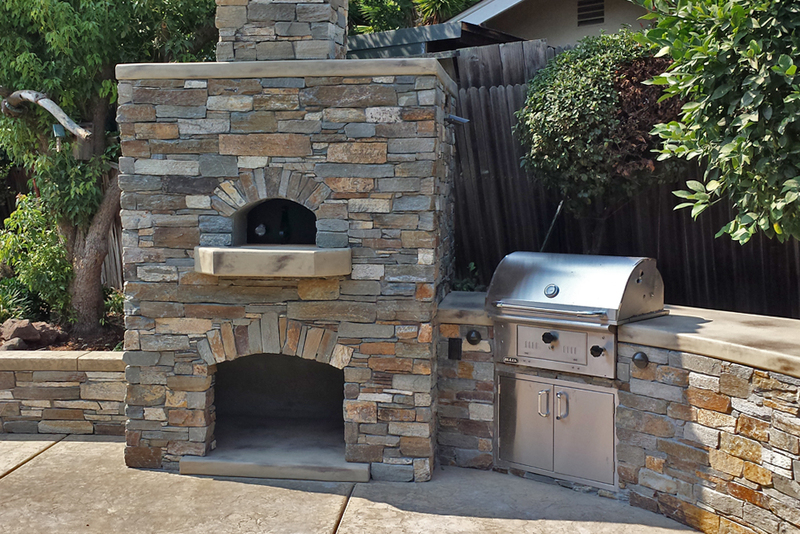 We love doing unique, custom designs just like this one for customers in Sacramento, CA. 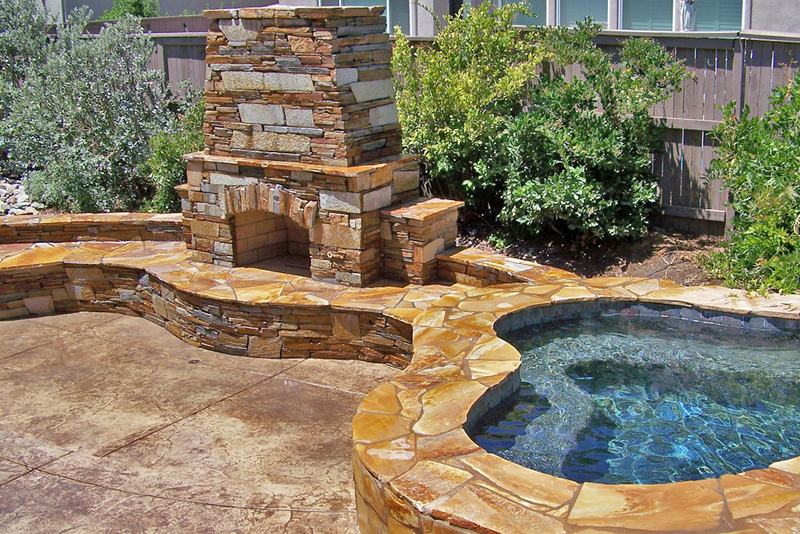 We also would be more than happy to do a design that is similar to or the same as one of our existing creations. 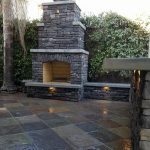 If you see a backyard in our photo gallery that you would like to replicate at your own Sacramento home, let us know and we will make it happen for you! 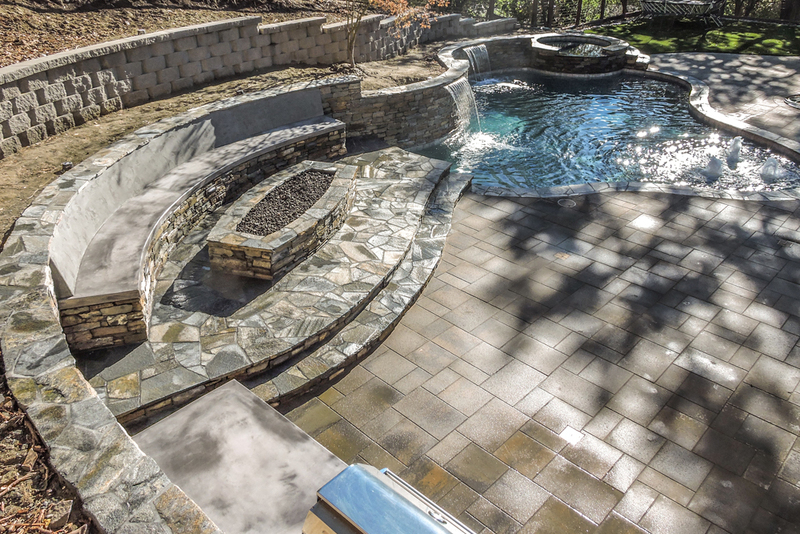 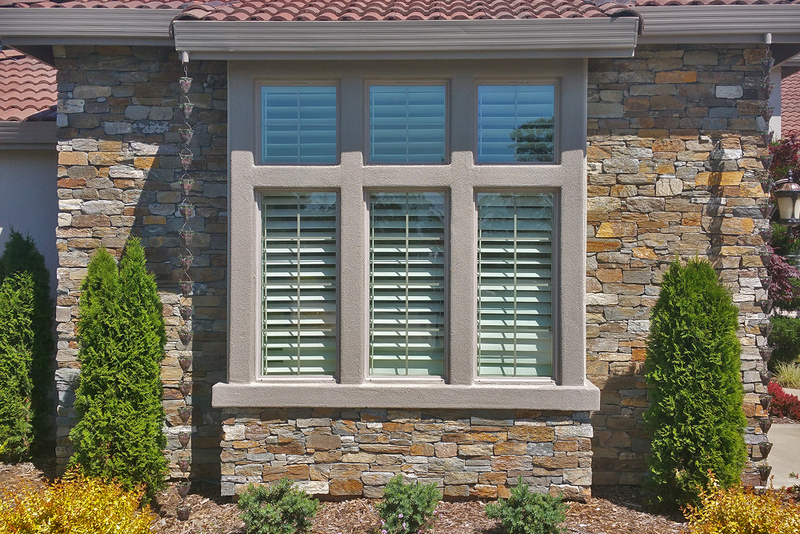 Here at Custom Image Hardscape, we specialize in custom hardscape design, patio installation, retaining walls, built in benches, fire pits, fireplaces, outdoor kitchens, and much more. 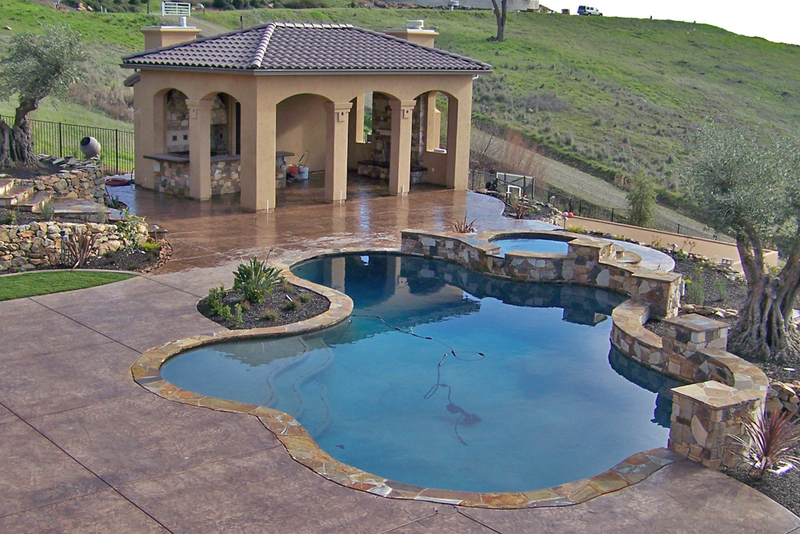 Give us a call today for your free estimate, and let us get to work right away on your own backyard paradise.